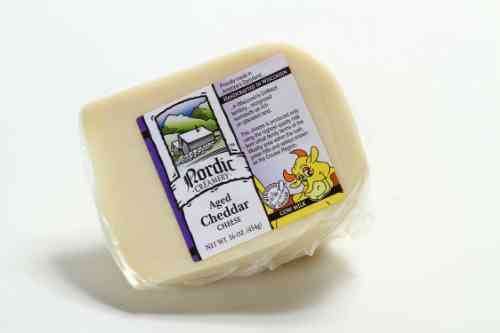 Aged Cheddar Cheese - A handcrafted aged cheese with a sharp cheddar flavor and creamy texture. Depending on current availability, may be either colored or white cheddar. 16 oz. Service Area: Westby, La Crosse, Onalaska, West Salem, La Crescent, Green Bay, Appleton, Chippewa Falls, Rhinelander, Wisconsin Rapids, Eau Claire and surrounding communities.